I want to start by saying I am no rocket scientist. I’m pretty normal actually, I also want to say I want to keep everything authentic. I have a web developer that helps me with my website, he always tells me Alexis send me what you have ,I will correct the spelling I’ll fix the grammar and we can post. But unfortunately I never do what he says, and I’ll tell you why. I believe knowledge is power. Keeping it real. Real stories are the ones that help us, not the stories that have been altered. I am a successful businesswoman, with a small business and anyone home office, but I am also a woman with a learning disability and dyslexia. People have the misconception that because you have a learning disability or dyslexia you aren’t educated, and that is the furthest thing from the truth. I am an educated woman graduated from high school and I have a AA on business administration. Took me a little longer than the average person to get it but I did. And I want people my readers my followers to know, that success is up to you that success is your passion. But I can do it so can you. So if by reading any of my articles you run into missed spelled words, and my grammars isn’t perfect please excuse me ,but I’m just keeping it authentic and real, for others to know, that walk in my shoes that it’s okay that we can also make it can , and also be successful! 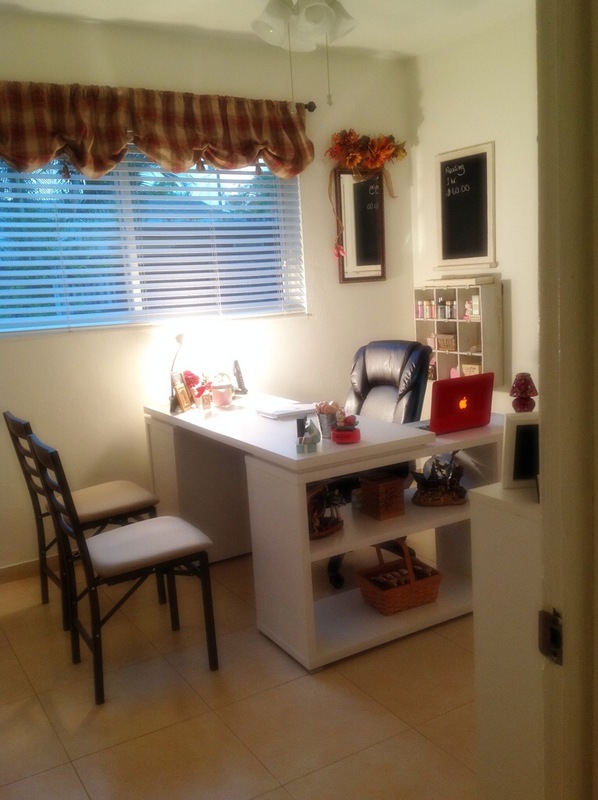 With that said and done here’s my story, my success stories of my new home-office. About two years ago I went public, public in what I love to do, help people with my readings and life coaching. I took everyone’s advice and doing this as a business to help others. Easy for many years I did this for free it was only a one-way street I was only helping but I was never getting anything in return that was okay. But the older Ive gotten the wiser about life I am, and I also know what you gave you must get back and here’s where my business begins. It started off with a little business card. Pink with the Eiffel Tower. Today my business has grown,grown to the point that I have my own office I see at least 20 clients a week that does not include Five Sisters or the Dollhouse or special appearance, give-and-take on a good week I see 50 clients. The making of this magical little office has everything to do with one man my husband build everything from scratch with his two hands. A white wooden L-shaped desk, is where the magic begins. The walls hold the most amazing stories the most amazing gifts given to me by love ones, photos of places I’ve been, people I’ve been with and the ones I love. Everything in my office has a meaning to me something that has touched my heart and someway or another. Yesterday I did a full days work, nine hours. Most amazing feeling the world. Being able to give my clients the comfort the piece that they so need, to be able to see a better path and that there is light at the end of tunnel. With the help of my husband, yesterday was one of my business biggest success stories, from greeting my clients, to offering them coffee or tea or just a bottled water. Made the whole experience perfect. Every single client left yesterday with the most amazing smile on their face, the feedback that me and my husband that was amazingly beautiful. It was by far inspiration to me,gave me a bigger drive to do better, to give my clients the best service possible. I just don’t want to be a psychic, I want to be an experience that touches your heart ,that you will never forget, from the moment you step in my office the moment you leave. I’m pretty sure I accomplish that yesterday and I feel so blessed. 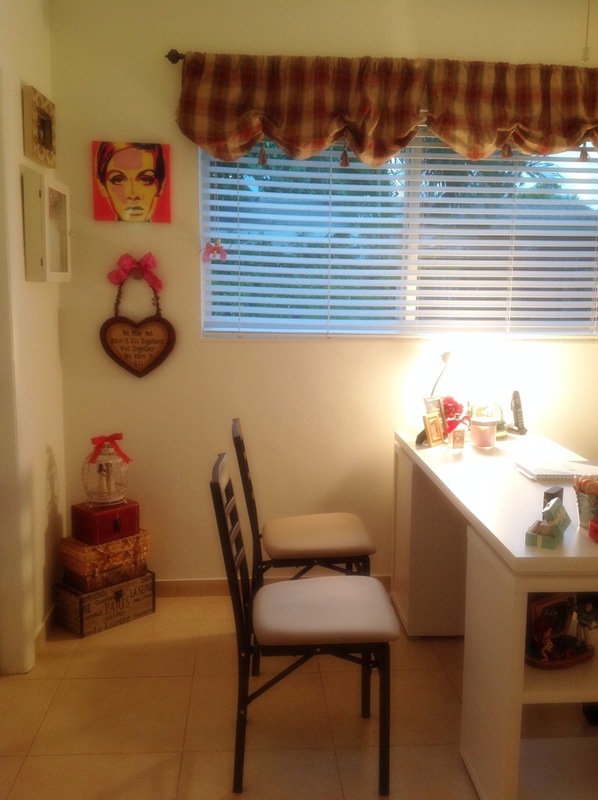 That little office that my husband built with his two hands ,that I’ve built with my heart and my passion and my dreams. Is my biggest success story. Dreams do come true, you just got to believe in yourself. Love Alexis, into next time.